Earthling Morris Blazik likes to cause trouble for bad people in high places. It gives him a purpose in life. So when an eight-foot assailant takes a potshot at him in a stockroom, another tries to run his car over with a stolen semi truck and a third disintegrates everyone in his former office, he thinks it’s payback time.He’s wrong about the payback, but someone definitely wants him dead. Just not someone from Earth. Even when a friendly, crusading extraterrestrial teleports into Morris’s life and tells him the real story, he doesn’t believe it. But as the evidence mounts, he allows himself to be recruited—and not a moment too soon. 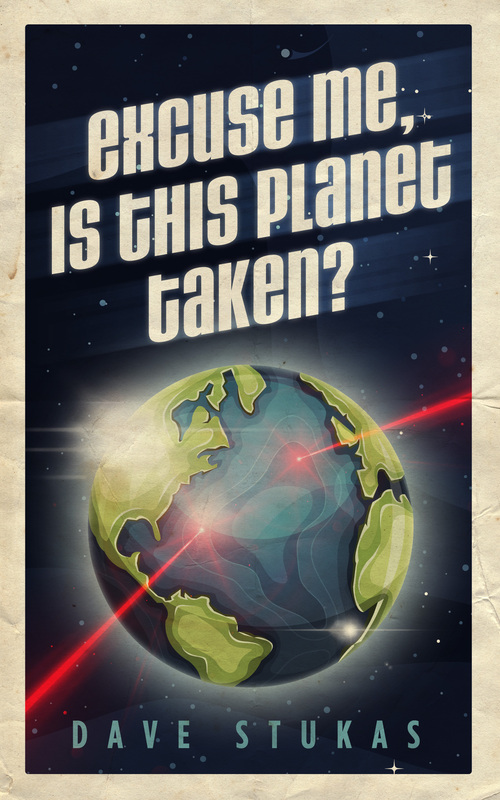 An obscenely rich and socially disagreeable extraterrestrial is planning to wipe out all life on Earth and turn the planet into something rather unpleasant. Next Thursday. Everything is going according to plan. A massive star has gone supernova. Wormholes are opening. Humans are being blasted off toilets in Beverly Hills. And incompetent hit men from planet Hargos are accidentally killing themselves with exploding ink pens and ejector seats. Okay, so not everything is going according to plan. But Earth is still in grave danger. And all that stands between it and total catastrophe are four intrepid life forms. Stan Parallax, a stylish, extraterrestrial eco-avenger. ZoZo Zzyzx, a female Goth-reptilian investigative reporter with a Mohawk. Grabelfrob, the galaxy’s smartest life form—who happens to be dead. And a cocky Morris Blazik who quickly finds himself in over his head in a cosmos that’s not only stranger than he can imagine, but funnier too. My previous six comedy mysteries, are still available on Amazon here.